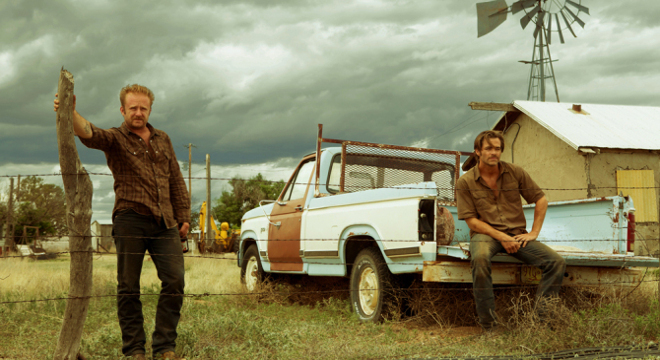 Telling the tale of two Texan brothers, Toby (Chris Pine) and Tanner Howard (Ben Foster), Hell or High Water is a surprising mix of soul-stirring desperation and justice. The film opens by giving little away, while oozing with excitement. After the first scenes, you know this story is one to hold attention, albeit with bated breath. Tanner, a recently released jailbird, and Toby, a divorced dad, are a pair of convincing brothers. Pine and Foster both deliver impressive performances as the Howard brothers. Although the siblings obviously hold a close bond they are starkly different, not fully knowing their relationship or whether they love or resent one another. Following their mom's recent demise, the two brothers set out on a mission to recoup their losses by robbing small town banks. Two stories are told during the screenplay, that of the Howard brothers and the Texas Rangers in pursuit of the perpetrators. 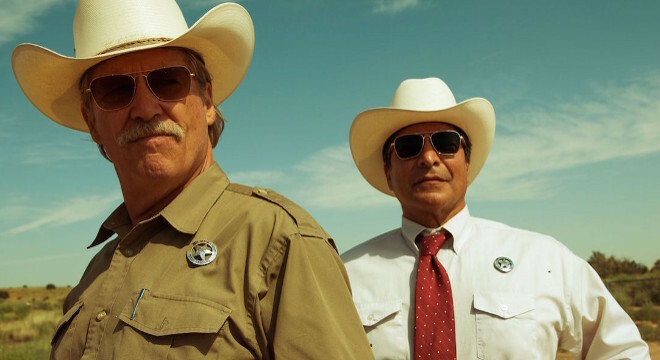 Jeff Bridges is on point as a Marcus, a Ranger nearing retirement and Alberto (Gil Birmingham) his patient partner. The relationships between the two pairs run parallel to each other, both making poignant impressions. Funny quips from all the leads break the tension in necessary places. From the polite exchanges while bank robbing to the Rangers playing with stereotype gags frequently, the humour may be subtle but not unnoticed. The cast were placed flawlessly. Pine is perfect in his role with brooding good looks, while Foster plays the explosive older brother with ease. Bridges and Birmingham are superbly paired and their banter is enjoyable. The film showcases the vast barren land and the community spirit that still stands in the Southern State. Moments of loneliness and loss feature frequently throughout, from both the good and bad guys constructing a faint sense of misery. Director David Mackenzie with a screenplay by Taylor Sheridan is an excellent combination. The camera work and musical score is immaculately paired building suspense and anticipation. Ending with an unpredictable finale, this film definitely packs in plenty of emotional punches. 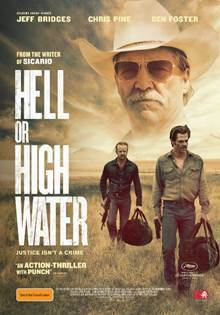 Hell or High Water is an enjoyable modern day country western drama that doesn't disappoint.